Winter has come! And a cold, arctic wave is swallowing Europe. 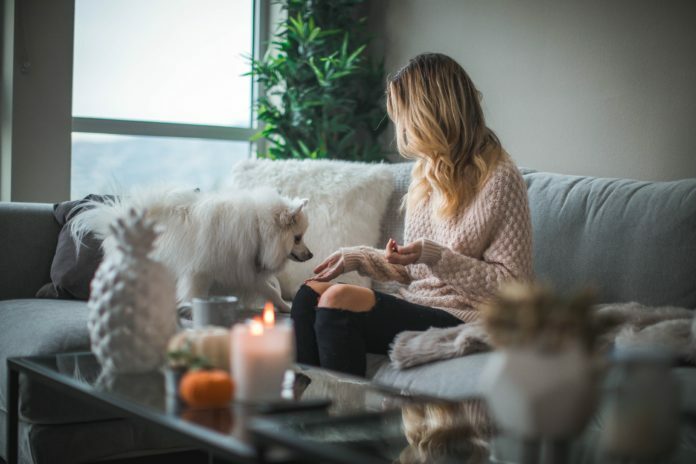 While the Old Continent battles the crippling freezing weather, many of us have chosen to stay safely inside and to enjoy the coziness of their homes. For those lucky ones, we here suggest 10 startups that have mastered the art of making your home more comfortable and cozy with just one click! In the list below, we feature all kinds of companies making your life easier at home: from those offering more energy-efficient appliances, to the ones adding the IoT and ‘smart’ touches to your home, from door-to-door and peer-to-peer services that allow you to put your feet up and relax, to manufacturers of downright cool and innovative home essentials! Miummium – Founded in 2015 in Glasgow, Miummium is the ultimate on-demand chef service that is revolutionizing the in-home dining experience. The largest personal chef marketplace on the web, Miummium, allows you to explore menus, research chefs and book unparalleled at-home culinary experiences. The booking process is rather simple: the client picks a date, chooses a menu and invites his/her guests over for a meal. The rest is up to Miummium’s little helpers so that there are no shopping, no preparation, no clean-up and no stress involved for the clients. For as little as $ 23.00 /guest, you could get your own personal chef experience. Options and prices may vary depending on the fanciness of your menu of choice! Simba Sleep – Simba Sleep is a mattress e-commerce startup founded in 2015 in London. The company produces what they call ‘the most advanced mattress in the world’ made of a unique combination of 2,500 conical pocket springs and responsive memory foam. As they very eloquently put it, this mattress is ‘the one you’ve always dreamed of’. Entering its 4th year of activity, the company already boasts an incredible success and sky-high sales. The quality of their product is not their only selling point, though. The company has, in fact, an innovative approach when it comes to social media and has managed to shake its sleepy industry up with insightful use of behavioral metrics and highly engaging Facebook and Instagram campaigns. Finally, Simba Sleep has also managed to raise a whopping total of $75.7 million in funding over seven rounds. Picnic – Picnic is an online grocery platform and application that enable its users to find and order grocery through their mobile phone. 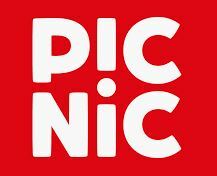 The products sold on Picnic are vegetables, fruits, meat, fish, sweets, snacks, drinks, dairy, bread, but also non-food items that you can find in any supermarket. The platform offers delivery services in cities throughout the Netherlands. Finally, the startup boasts an incredibly efficient and sustainable food marketplace with 100% electrical delivery vans, no food waste, the lowest prices in the market and free delivery. 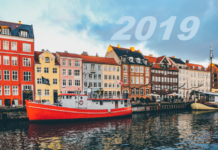 Picnic was founded in 2015 by Joris Beckers, Michiel Muller, and Frederik Nieuwenhuys and has raised a total of €100 million in funding in just one round. 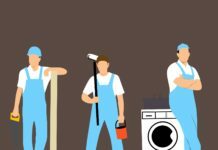 ProntoPro – This online platform allows its users to hire professionals for home-related services: anything from a hairstylist to a plumber. ProntoPro was founded in 2015 and has its headquarters in Milan, Italy. The startup, founded by Marco Ogliengo and Silvia Wang, has grown esponentially over the years and counts now more than 100 employees. Their investors include Immobiliare.it as well as high-profile angels who work at Google, Facebook, eBay, McKinsey and Unicredit. In 2018 the compnay went international by launching its platform in Austria and Switzerland. ProntoPro has raised a total of €10M in funding with its latest funding round for €6 million. Havr – Havr was founded in 2017 by Simon Laurent and Alexandre Ballet, two software engineers based in Compiègne, France. The startup has developed the ‘Bright Lock’, the first smart lock opening with light signals. The lock is a patented and safe solution that functions without a bridge or Bluetooth, but with a code encrypted in the flash of your Smartphone. Safe and easy to use, the Bright Lock gives you control of your home and even allows you to share access with your other users, friends, and family. With its new smart lock technology, Havr will make your home safer and high-tech all while making the use of regular keys obsolete. Their electronic door lock and digital key along with with their app and the online dashboard, represent the ultimate mixture of flexibility and security. For the production of their innovative product, the French company has amassed a total of €1.3 million in funding. Yeti – Also known as Netbeast, Yeti is an app that connects all your smart devices to simplify the control of your home. The app also allows you to activate and monitor all your smart devices from anywhere, anytime. It supports a wide range of smart home devices from lights and wireless speakers to heating and security solutions, offering you comfort and security. The versatility of Yeti’s app makes home automation easier and smarter than ever. The company founded in Sevilla, Spain, in 2015 has ammassed a total of €223.2k in funding. Mindful Chef – Mindful Chef is a health-focused food box service. The company was founded in 2015 and has already delivered over one million meals across the UK in the form of recipe boxes. Their own recipe for success includes high quality ingredients: they use 100% grass-fed heritage beef, free range chicken, and the UK landed wild fish. The startup is a B-Corp, and for every meal sold they donate a school meal to a child living in poverty. The London-based company has raised a total of £9.3 million in funding. Butternut Box – Just like Mindful Chef, Butternut Box delivers food to your doorstep – however it has a completely different target: pets. Butternut Box is about as luxurious as a pet brand can get. The British startup, in fact, cooks and delivers boxes of fresh dog food to homes across the UK. All the food is cooked-to-order in weekly batches and tailored to suit the needs of each individual dog. The people at Butternut Box have made quality and freshness their distinctive features: ‘Putting the food back into dog food’ is their motto. Founded in 2016, this startup has secured an impressive figure of £6.2 million across three rounds of funding. Onlock – Onlock is a smart lock ecosystem compatible with most of the lock systems on the market. It allows users to lock and unlock their doors with just one click in the mobile app. However, Onlock does not replace your current lock system and allows you to keep using your regular physical keys. This solution simply adds another layer of security to your regular lock and allows you to limit your guests’ key usage within a certain date and time, and to get notified of lock/unlock activities. This lock is designed for those who want to enjoy the perks of remote control, but are not entirely ready to give up on physical duplicates just yet. The company, founded in 2016, has raised a total of $120K in funding. 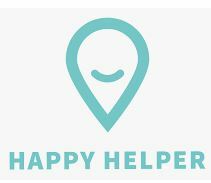 Happy Helper – This startup is the leading Danish platform for on-demand home services, connecting over 12,000 households looking for home cleaning services, with more than 3,500 top-quality, pre-screened independent cleaners – or as they call them “helpers”​. With an easy booking process, secure payment, and a 100% money-back guarantee, this startup is the most convenient way to book cleaning services in the country. However, you shouldn’t be fooled by their passion for cleanliness, Happy Helper is not a cleaning enterprise – it is actually a technology company. They have in fact developed an “AirBnB-like”​ online marketplace, matching customers with cleaners. Since it was founded in 2015, Happy Helper has raised a total of $7.9 million in funding. Next articleBlacklane founder & CEO Dr. Jens Wohltorf will speak at our EU-Startups Summit on May 2-3 in Barcelona!